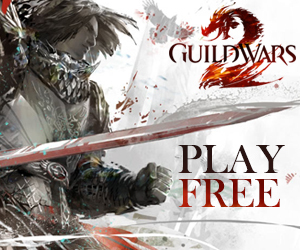 On 28th August 2012, Guild Wars 2 officially launched. One year later, on the 27th August 2013, so too did Final Fantasy XIV: A Realm Reborn. Although very different MMOs, this year they are both hurtling towards their first expansions. Let me preface this by saying that we don’t actually know when Guild Wars 2: Heart of Thorns is going to be released, but the general consensus in the community is that it will be at some point this year, most likely near the end of August. On the other hand, we do know for certain when Final Fantasy XIV: Heavensward will be available: 23rd June. If the rumours turn out to be true, then this makes for one epic summer of MMO gaming for anyone who plays both games like I do. The prospect of trying to split my time between both, however, isn’t as exciting. The question is, how will they stack up against each other, and which holds the potential to draw most of my gaming time? Classically, MMO expansions introduce new playable races, new classes/professions, new explorable zones and, of course, a higher level cap with more tiers of gear. Heart of Thorns is choosing to forgo many of these conventions in favour of the love-it-or-hate-it style of horizontal character progression, whilst Heavensward is embracing the expansion archetype by offering all of the above features, and more. Both expansions are, however, offering new professions: three from Heavensward and one from Heart of Thorns (though the case could be made for 10 if you include the revenant and all specialisations). Having played with the revenant myself and been extremely impressed with the new gameplay mechanics and skill ceiling involved, I can honestly say that there is massive potential for this new profession to shake up the way I play the game. Its skills feel much more impactful with more direct consequences; Field of the Mists is one ability that springs to mind, which generates a projectile-blocking wall that moves with your character and demands positional awareness from you at all times in order to utilise it effectively. What’s great is that this shows no signs of stopping with the chronomancer (and to a lesser extent dragonhunter) specialisation. With ticking wells, whose full effect is only felt after 3 seconds, and walls of temporal energy that return to you if you’re positioned correctly, the way you interact with the game through your chosen profession/specialisation will feel much more engaging than anything previously. Looking to developers Square Enix, they’re giving players three new classes to play with in their expansion; one for each of the trinity roles. Compared to ArenaNet, Square Enix is keeping its cards relatively close to their chest, and not much is known about any of the classes. As I main a healer in Final Fantasy XIV, I’m most interested in their healer: the Astrologian. This classes promises to be able to fulfill the typical big AoE healer and party-wide buffer/shielder all in one package, drawing their power from the stars and celestial heavens. The Astrolgian’s party piece is the ability to draw a random card from a ‘divining deck’, and then choose to use it immediately for a particular effect, or combine it with the next drawn card for a different one. Does this sound interesting, and a unique way to change up healing? Absolutely. Does this sound more interesting than anything ArenaNet have announced? Not really. I have to give it to ArenaNet on this one – they may be opting for horizontal progression, but the revenant and their new specialisation system sounds like a much more enjoyable and engaging way to shake up gameplay than Heavensward’s new classes. Heavensward’s Astrologian class – pick a card! I’ll admit that’s a pretty broad statement. Unlike Guild Wars 2, in Final Fantasy XIV your character can be any class it wants to be simply by switching weapons. In this sense, classes aren’t entirely what defines your character and your experience in the game; you may find yourself maining one class, but you can be sure to have several others on the go too. Instanced content (raiding) and gear is, however, what defines a large part of your experience. And this endgame content experience is one of the pillars that ArenaNet is building Heart of Thorns on – something to appease veteran players and keep them interested, and hopefully give a definitive answer to “what is Guild Wars 2’s endgame?” As a raider in Final Fantasy XIV, this is something that I’m extremely interested in for both games. Right now, there isn’t a concept of large raids in Tyria. In Final Fantasy’s Eorzea, however, there already exists three separate sets of 8-man raids, as well as three 24-man raids and a plethora of hard mode dungeons, and ‘extreme mode’ boss fights dubbed Primals. Heavensward will add to this with a new raid: Alexander. Again, not much is known about Alexander at this point in time, but if current instances are anything to go by, then it’s sure to be filled with challenging mechanics and require a high level of group coordination to clear successfully. With ArenaNet’s talk of similar things for Heart of Thorns, I’m looking forward to seeing what sorts of things they can pull off too. Having fought the Wyvern in the last beta, it was definitely an improvement over existing zerk-and-afk dungeons, and harked back to other great open world bosses like the Twisted Marionette, Vinewrath, and even the Shadow of the Dragon. But I yearn for more – much more. Whilst all these fights have been interesting and fun (for a time), they haven’t been consistently challenging – or at least not to the level I’m used to. I don’t see the Wyvern being the new Bahamut anytime soon. Now, I’m not expecting that level of mechanics and complexity to whatever challenging content ArenaNet produces, but I’d like to see something halfway there; harder than what we’re used to in-game right now, but not to the level where one mistake can wipe your party. Based on Square Enix’s track record, I’m going to have to give this one to them for the time being. But I would love to be totally surprised by ArenaNet, and come face-to-face with a boss that truly engages my raiding brain. So it stands at one apiece – time for the tie-breaker. Six months from now, where do I see myself with these two expansions? I would love to say regularly enjoying both, but I think it’s too early to tell. In Heavensward, I can be sure I’ll have plenty to keep me occupied: levelling new and existing classes to the new maximum level, gearing up to the next tier, tackling the new dungeons and raids, and playing regular patches that bring new content, much like the Living World. In Heart of Thorns, I plan to level up a new revenant, play with (eventually) all the elite specialisations and tackle whatever challenging content is thrown my way, to make no mention of acquiring masteries and spending my days gliding around the jungle. The return of the Living World will also probably play a big factor; I can imagine that doing our Guild Wars 2 podcast six months after the expansion’s launch would become pretty uneventful without new and exciting things to talk about. And this, I think, is where the crux of the argument lies. Sure, expansions are great – but they get stale quickly, especially for people like myself who invest large portions of time into the game each month. It’s what happens between expansions that keeps people interested, whether it be new stories to discover (I’m thinking of Scarlet Briar’s rampage across Tyria, and the fight against Primals in Final Fantasy XIV), new rewards to obtain (Carapace Armour, or new gear tiers) or even an entirely new class (Final Fantasy XIV introduced the Rogue class in its 2.4 patch last year). 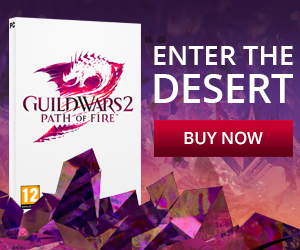 When all that stops, you don’t have to look far for the consequences – just take a peek at what’s happening for many Guild Wars 2 players right now, with no Living World and fewer reasons to login. ArenaNet have claimed that Season 3 will continue sometime after Heart of Thorns releases, and Square Enix already has plans for Patch 3.1 right after Heavensward. What these coming expansions do is lay the framework for these future patches to continue and expand upon. Six months from now, I hope I’m still playing both. Previous: The Dragonhunter: A Rose By Any Name? Next: Don’t Fear the Reaper. Be Terrified.